Japanese electronics company, Sony today announced two new Smart TVs under its ‘Master Series.’ Taking its popular BRAVIA OLED TV line up to a new level, Sony India has announced two A9F Smart TVs with features like Netflix calibrated mode, hands-free voice search and TV centre speaker mode to work with home theatre systems. 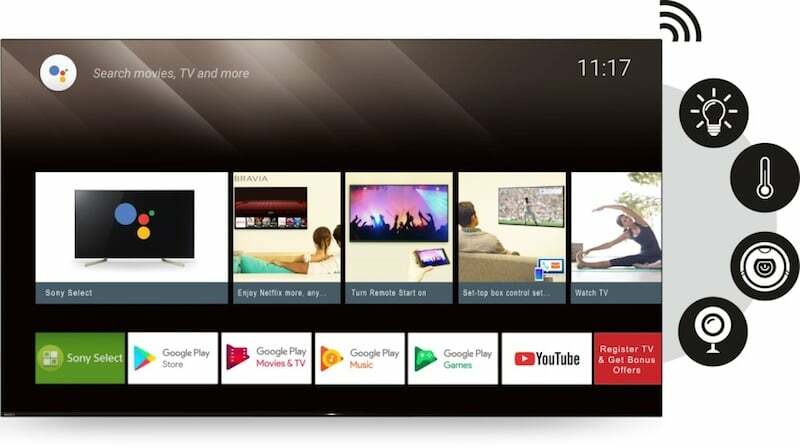 Running Android TV 8.0 Oreo operating system (OS), the new television series- “KD-55A9F” (55-inch) that costs Rs 3,99,990 while “KD-65A9F” (65-inch) is priced at Rs 5,59.990 will be available in India from September 20. Equipped with “X1 Ultimate” picture processor and “pixel contrast booster” which is Sony’s original panel controller for OLED, the TVs would deliver 4K HDR picture quality and better contrast, the company said in a statement. Sony has incorporated “single slate design” in its new TV offering with only one stand in the back to hold it up. The TVs also comes with “Acoustic Surface Audio+” technology to facilitate multi-dimensional sounds. “The TVs would provide a faster, easier and more intuitive interface for the consumers to use,” the company claimed. Additionally, the TVs also come with multi-lingual support, accommodating 11 Indian languages and over 14 international dialects. The “X1 Ultimate Picture Processor” can intelligently detect and analyse each object in the picture through Sony’s new object-based super-resolution mechanism for exceptional accuracy and detail. The object-based HDR remaster has been updated and allows each object to be remastered individually for better depth and accurate texture. Sony n Samsung’s produce best panels something chinki chinese brands can’t. But this is not telecomtalk, it’s chinesebrandstalk.